"Alphabet is about businesses prospering through strong leaders and independence. In general, our model is to have a strong CEO, who runs each business, with Sergey and me in service to them as needed." With this, founders Larry Page and Sergey Brin combined all Google products and services under one roof - ALPHABET. Revealed in their Google Investor's Blog, the newly formed Public Holding Company ALPHABET would be taking place at the closing of business on October 2, 2015. 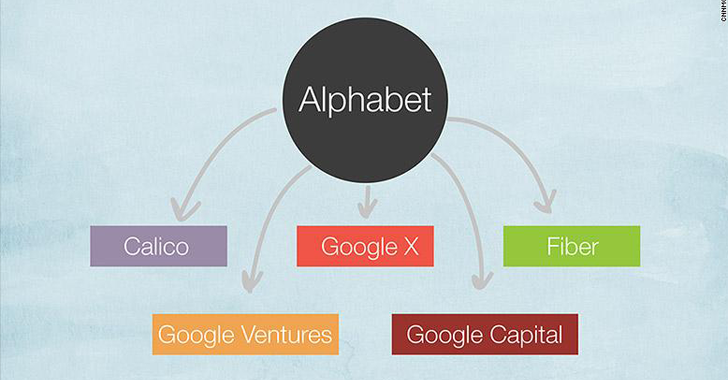 From now on Google would be the subsidiary of Alphabet and owning all of the outstanding capital stock of Google. Moreover, by implementing a holding company reorganization the "Alphabet Merger" will close today. Until now, the ticker symbol used by Google in the stock market was "GOOG" and "GOOGL" (on NASDAQ), which are kept same even after the merger. This makes Google Class C Capital Stock and shares of Google Class A Common Stock being traded as Alphabet Class C Capital Stock and Alphabet Class A Common Stock. However, the stockholders of Google will not face gain or loss for the United States federal income tax purposes upon the conversion of their shares in the Alphabet Merger.